Dutch photographer Joran Koster shows how human creativity can flourish in situations of scarcity and shortage. His photos of modified bikes illustrate social borders of Indian cities with bicycles as the ideal transport mode and business model. 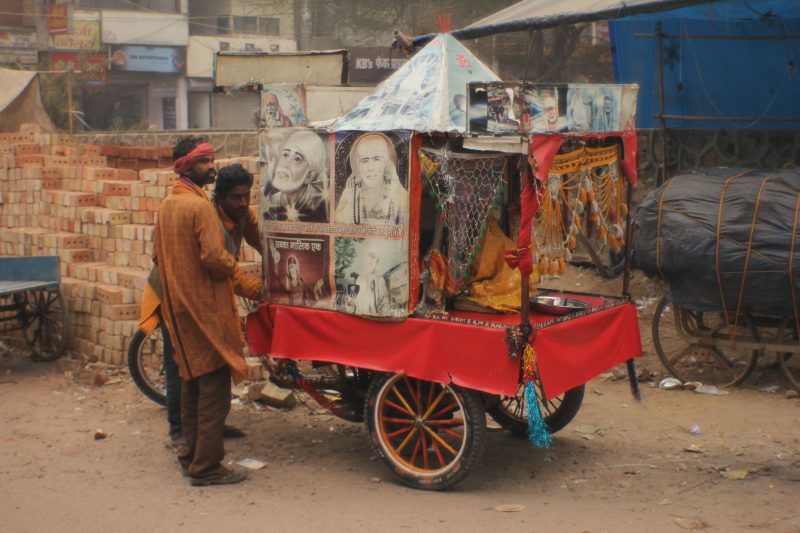 After completing an internship in New Delhi, artist Joran Koster became fascinated by the ways in which people utilize objects and space, and how seemingly ‘boring’ or single use things became a wide range of tools and commodities. The main example of this trend are the converted bicycles of India, which Joran started to photograph, and has been doing so for a while now. Among other conversions, he captured temples, shops, and a mosquito patrol crew on wheels. 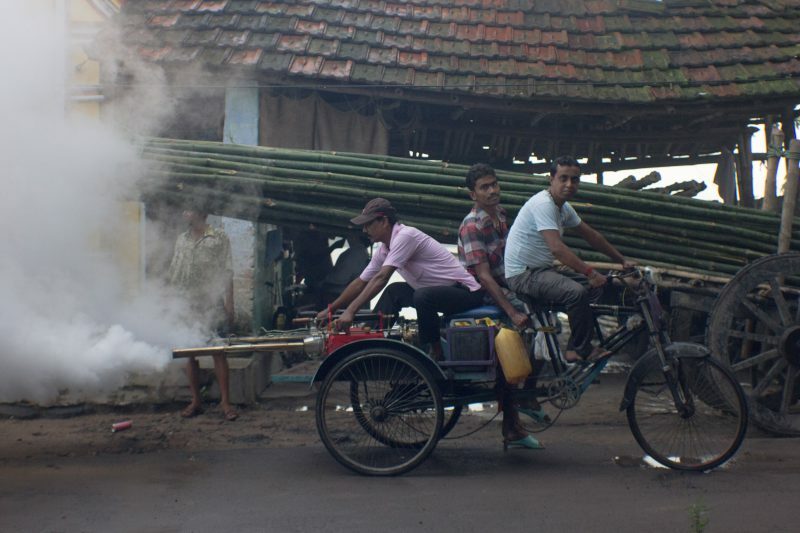 Bikes are a common transportation mode in Indian cities, especially for the poorer part of the population. They are cheap, they can get one place to another very easily, and they do not require payment for parking. The idea of bicycle conversion came mainly from necessity of cheap and easily accessible services. The poverty-stricken citizens figured that with the little that they have, they can still make incredible inventions which help them not only in commuting but also to make a living. 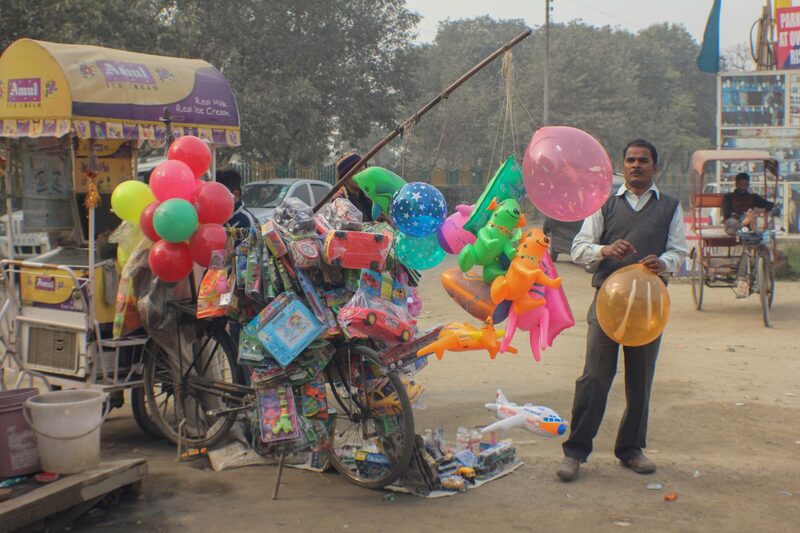 These bike enterprises affect many aspects of the Indian city populations and the space they inhabit. The bikes can permeate borders between the wealthy and poor areas of cities, therefore connecting the two. The owners of such bicycles observe the quick development and growth in the richer parts of the cities and want to achieve such evolution as well, with whatever means they have. The need to survive, move forward, and not be left behind in development are some of the most important factors inspiring the creative use of bicycles in Kolkata, New Delhi, Mumbai and other huge Indian cities. The ‘designers’, though not technically trained to be designers, act as such: they “modify, improvise and hack their environment to reach their goals”. Furthermore, their work is strongly related to their surrounding and culture: “they use the context of India to their advantage, and solve their problems with informal and cheap solutions.”. 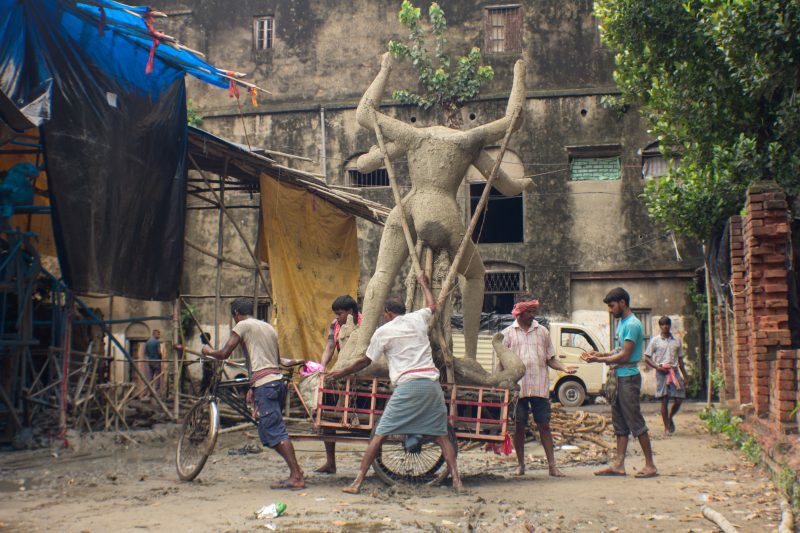 With inventions such as a mobile temple, a toy vending bike, a mechanics bike, a mosquito control bicycle, and many more, these people use the cities as their canvas and create inventions to survive within and with the vastly growing urban environment. Mentioned in this article are a few of Joran Koster’s favorite creative bicycle uses. You can see more and read about them in the English version of his book which will include the whole collection of India’s modified bicycles. The book will be presented along with an exhibition on the 21st of April at the Niffo Gallerie in Rotterdam. Cricklewood, a community in North West London, has no town hall, no library, no town square, not even a single bench. Last month, a mobile town square on wheels finally changed this and gave the town the public space they deserved. Earlier we wrote about Blaze, a laser projector that should help bicycle riders to tour more safely in cities. Now, there is an another simple but great invention: the Monkey Light. It may sound funny, but it’s a very effective way to stand out in the dark nights of the city nowadays. Most of the new-generation cycling cities lack a traditional bicycle culture, with no bike lanes, no bike parking facilities and no bike repair shops on every corner of the street. This makes it pretty frustrating to use the bike for daily routine trips. The guys behind New York-based Bikestock have launched a solution for at least one of these problems: vending machines for bike parts on the street.